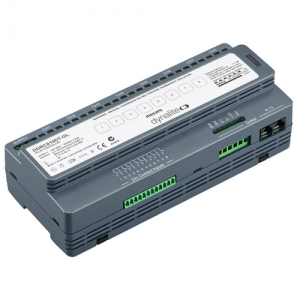 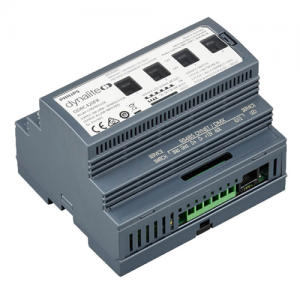 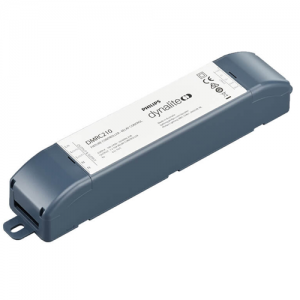 The Philips Dynalite DDRC1220FR-GL is a 12 channel feed through relay. 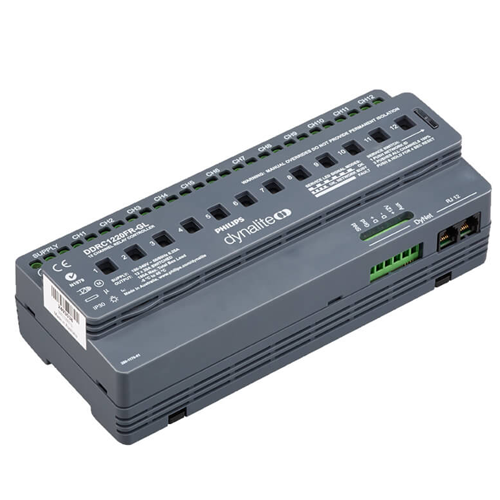 • Feed-through power circuit design — Electrically equivalent to a 12 pole contactor, with the added advantage of each pole being separately controllable via the DyNet network. 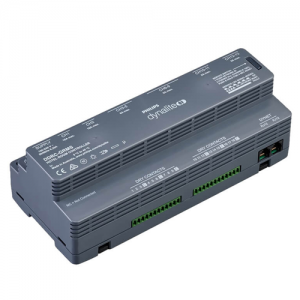 • Inbuilt diagnostic functionality — Features circuit run time tracking on each channel and Device Online/Offline status indication. 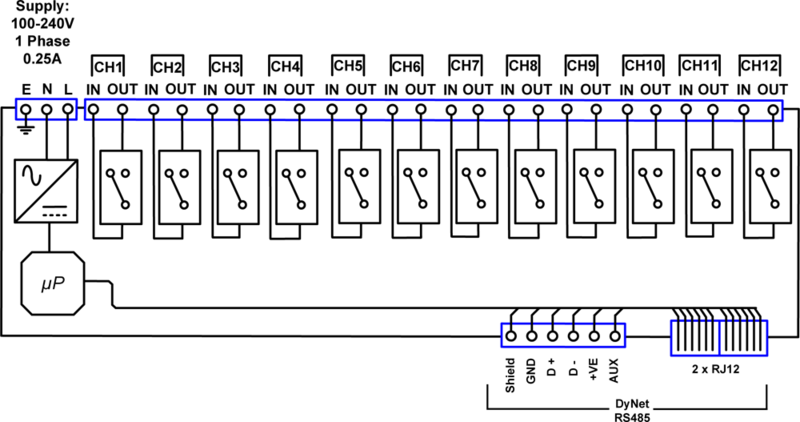 • Multiple wiring schemes supported — Controls Single Phase and Neutral or Three Phase and Neutral (Star) wiring configurations.